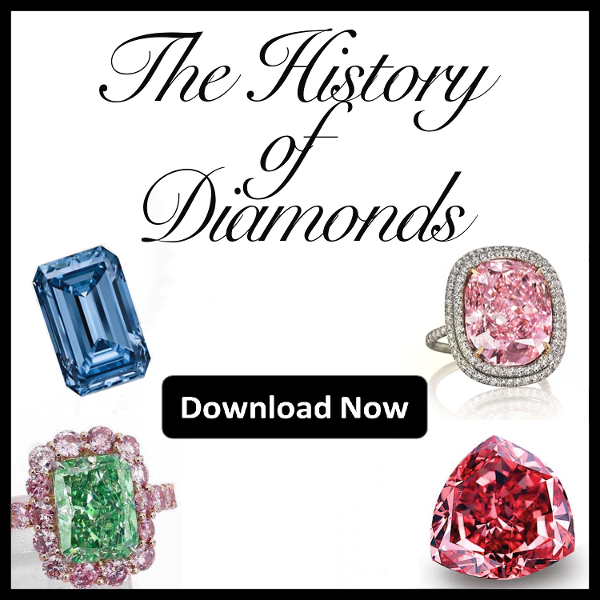 Sales of pink diamonds in 2014 indicated that a fancy vivid pink diamond averaged about $600,000 per carat, a fancy intense pink diamond averaged nearly $450,000 per carat, and a fancy light pink was fetching approximately $320,000 per carat. Prices per carat have more than doubled since then, even though the global economic crisis, due in part to the increase in demand for these very uncommon treasures. These astonishing prices per carat are motivating high net worth individuals to invest their millions into these treasure assets. If you are looking for to expand your alternative investments in 2017, look no further than colored diamonds. Here are some notable sales from the last two years. The Sweet Josephine diamond was previously known as the “Perfect Pink,” the 16.08 carat cushion-cut Fancy Vivid Pink stone sold for USD $28,523,925 at Christie’s November Magnificent Jewels action in Geneva. The Historic Pink is thought to be the property of Princess Mathilde Bonaparte and was seen at an auction of some of her items in 1904. The stone resurfaced in an auction in 2012 mounted in a ring and weighing nine carats. As auctioned, the fancy Vivid Pink brilliant cut stone was 8.72 carats in a ring with two cushion cut diamonds and brought a price of USD $15,903,422 at Sotheby’s May Magnificent and Noble Jewels auction in Geneva. The Blue Moon of Josephine, a 12.03 carat blue diamond that sold for the largest amount of any diamond of any color, and price per carat of any gemstone - USD $48,468,158. What a year and what a ride, but who knows what surprises the two auction houses will bring to us this year? The Oppenheimer Blue kicked off this year’s auction season with a bang. The 14.62-carat rectangular cut fancy vivid blue diamond was featured at Christie’s Geneva sale of Magnificent Jewels in May of 2016. The legendary diamond was initially anticipated to sell for upwards of $46 million, but it far surpassed that estimate eventually selling for $57.5 million. Approximately 10% of all natural blue diamonds unearthed are larger than one carat; the Oppenheimer Blue is considered a true rarity of nature as it holds the title for world’s largest blue diamond. The Aurora Green is a 5.03-carat rectangular-cut fancy vivid green diamond that was also featured at Christie’s Hong Kong sale of Magnificent Jewels in May 2016. The stone sold for $16.8 million, setting a world record price for a fancy vivid green diamond. At the time of its sale, it was the first time a fancy green diamond had been offered at auction since 2009. The De Beers Millennium Jewel 4 was the star of the night at Sotheby’s Magnificent Jewels & Jadeite auction in Hong Kong in May of 2016. The 10.10-carat oval brilliant-cut fancy vivid blue diamond sold for an astonishing $31.8 million, setting a record for most expensive diamond sold in Asia. This famous diamond was once part of an exclusive collection of eleven rare blue diamonds owned by the De Beers firm, a collection that took years to amass and includes the most elite and rare blue diamonds including the famous Heart of Eternity diamond. The diamond was unveiled to the public for the first time at the celebration of the new millennium. The Unique Pink is a 15.38-carat pear-shaped fancy vivid pink diamond, which went under the hammer at Sotheby’s Magnificent Jewels Auction in Geneva in May 2016. The dazzling diamond, sold for a jaw dropping $31.6 million to an anonymous buyer who opted to bid over the phone. The Unique Pink now holds the world record for the most expensive fancy vivid pink diamond sale ever at auction.